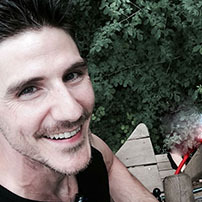 David Saville is a dedicated Life Coach and Speaker who works with people all over the world to create more freedom and adventure in their life and businesses. He also trains coaches to use their unique talents to create sustainable businesses around lifestyles that they love. His clients include: Olympic Athletes, CEOs, Charities, Life Coaches, Entrepreneurs and anyone who he resonates with. He leads his life by answering a single question that he asks himself in every interaction with another person: “How can I help?”. He has worked with thousands of people over the past 2 years through his coaching, speaking and workshops and is committed to continually honing his ability to help people transform in the most incredible ways.